The history of Grand Rapids Masonic Lodge No. 34 is formed from the long history of two other Lodges. The first Lodge came to see the light in the Village of Grand Rapids in 1849 as Grand River Lodge No. 34 and chartered on January 10, 1850. The second Lodge was formed in the new City of Grand Rapids as Valley City Lodge No. 86 and was chartered on January 15, 1857. After 147 years when Valley City was chartered, these two Lodges joined together on October 22, 2004 to form the new Lodge of Grand Rapids Lodge No. 34 F. & A. M., the 155th anniversary of Lodge Number 34. York Lodge No. 410 which was chartered on January 23, 1895, after operating for 123 years, was merged into Grand Rapids Lodge No. 34 on August 25, 2018. At this merger in 2018, the Lodge Numbered 34 had been in operation for 168 years and continues the fine traditions laid down from the past; and builds upon these combined lodges to form lasting brotherly fellowships that work together in mastering the craft, and to provide aid and support to fellow Masons, charity work and assistance to the community under the guidance of the Light of the Grand Architect of the Universe. The history of Grand Rapids Masonic Lodge No. 34 though short in years, is preceded by the long list of honored and storied accomplishments of Grand River Lodge No. 34, and Valley City Lodge No. 86. These two Lodges, the first to see light in the Village of Grand Rapids in 1849, and the second in the new City of Grand Rapids in 1857 have individually and collectively produced more Grand Masters than any single Lodge in the State of Michigan. Names, like; Lyon, Rowson, Innes, Strawhecker, Toot, Moore, Wheeler, Coffinberry, Leonard, Leavitt, Sligh, LaBour, Bowring , Griffith and many others appear in the minutes of not only our Lodge, but those of the MTA and many other Masonic organizations. In 2003, Valley City Lodge No. 87, merged with Grand River Lodge No. 34 forming Grand Rapids Lodge No. 34. In 2019, York Lodge No. 410 became part of Grand Rapids Lodge No. 34. Today we celebrate having three Past Grand Masters as active members of our lodge. 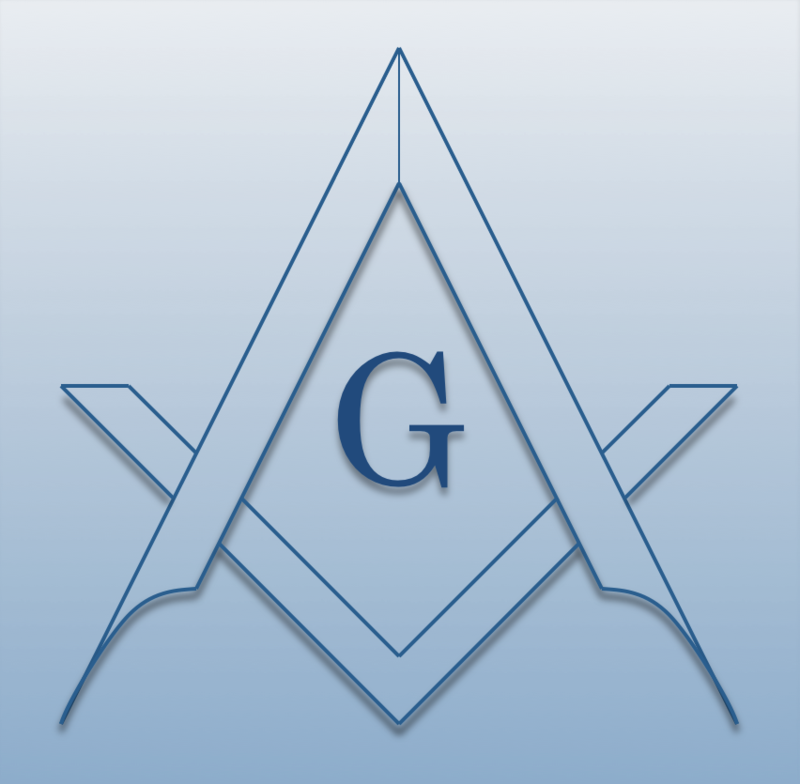 Members today serve on Grand Lodge committees, including as President of the Michigan Masonic Charitable Association. Grand Rapids Lodge No. 34 has a long history of Officers of the Grand Rapids Masonic Temple Association, and many have served as officers as well as President. We have 33rd Degree and Meritorious Service Award Scottish Rite recipients, many Scottish Rite Masons, York Rite local and Grand officers and members, Saladin Shrine members, Supreme Eastern Star representatives, including a Past Hi-12 State President. We have Brothers who sit on Masonic Charitable Foundations, including the Chairman of the Masonic Wolcott Foundation at George Washington University in Washington, DC. These are just a few of the many Grand Rapids Lodge No. 34 members who provide invaluable service to our Craft. Grand River Lodge No. 34, the first Masonic Lodge in Grand Rapids, chartered in 1850, merged with Valley City Lodge No. 86, the second Masonic Lodge in Grand Rapids, chartered in 1857, in 2003 by vote of those present at a regular communications of both Lodges strengthening the Craft and combining the leadership of both Lodges into one solid whole. Grand Rapids Lodge No. 34 continues its leadership role in the Grand Rapids Masonic Center as its members led and supported with time, money and muscle the relocation of the Blue Lodge room from the old Little Lodge Room on the 6th floor to its current location in the large 3rd floor former Eastern Star Room. Two of the three relocations committee members, including the chairman were Grand Rapids 34 members. Grand Rapids Lodge No. 34 contributed more money toward the project than any other Masonic organization and the hours given in volunteer service to the project are indeed impressive. It was members of Grand Rapids No. 34 who spearheaded and helped execute the moving of the Grotto Stone from the old Masonic Country Club of West Michigan to the Masonic Center and without whose efforts the project would not have been accomplished. Grand Rapids Lodge No. 34 was instrumental in the successful 100th Anniversary Centennial Celebration of the laying of the cornerstone of the current Masonic Temple. The leadership included Celebration Chairman, and several key committee members, resulting in one of the most memorable celebration activities in Grand Rapids Masonic Temple history. Grand Rapids No. 34 continues to grow in members, Masonic service, and excellence of ritual and leadership. We are often asked to host district meeting, lodges of instruction and many other Masonic activities for the benefit of the Craft. The history of Masonry in Grand Rapids is built on the foundation of Grand Rapids Lodge No. 34. There is much to be proud of and we want to share this history with our Brothers wherever about the earth they are so dispersed. Yes, it is an exciting time to be a Mason and especially a member of Grand Rapids Lodge No. 34. If you have not been to Lodge lately, come on down. We meet the second Wednesday of each month for our Regular Communication except in July and August. If you can’t find your dues card, or can’t remember the signs and tokens, don’t worry, your Brothers in Grand Rapids No. 34 are here to help you. Please join us as we continue to make Masonic history.